Disclaimer: I am a 5 Peaks Trail Crew Leader (Ambassador); however, all opinions in this review are my own. I’ve run 5 Peaks Golden Ears once. Last year, I completed the Sport course. This year, to continue my goal of stepping out of my comfort zone, I signed up for the Enduro race. While I thoroughly enjoyed it, one thing stuck out… the Incline Trail. Read more to find out why this left a mark (figuratively only, thank goodness). 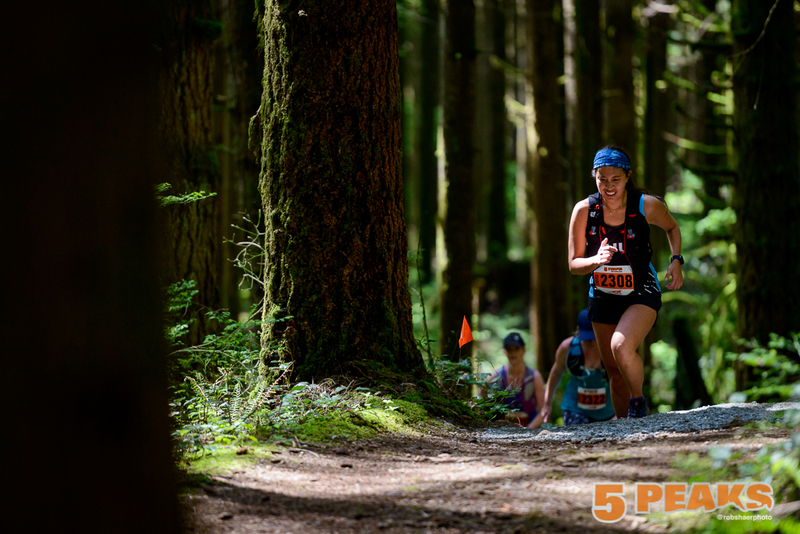 The 5 Peaks Golden Ears course is pretty much the same as the Sport course with an extension loop. Everyone goes the same way on the first 4 km. Sport course runners headed straight for the hill with the waterfall and Enduro runners kept going onto a service road which led to a bigger hill called Incline Trail. This extra loop leads down to the same service road and you go backtrack to tackle the shorter hill with the waterfall. After that it’s back down all the way to Alouette Lake. According to my Strava, it’s 13 km long with an almost 500 m elevation gain. Once again, Cuski and I volunteered, this time at the food prep station. I have to say, this was quite a fun station. We sliced lots of fruit and bagels for many hungry runners, mixed electrolyte drink, and we may have munched as we went along 😛 Volunteering not only gets you good trail karma but also a free future 5 Peaks race entry if your shift is 4+ hours. 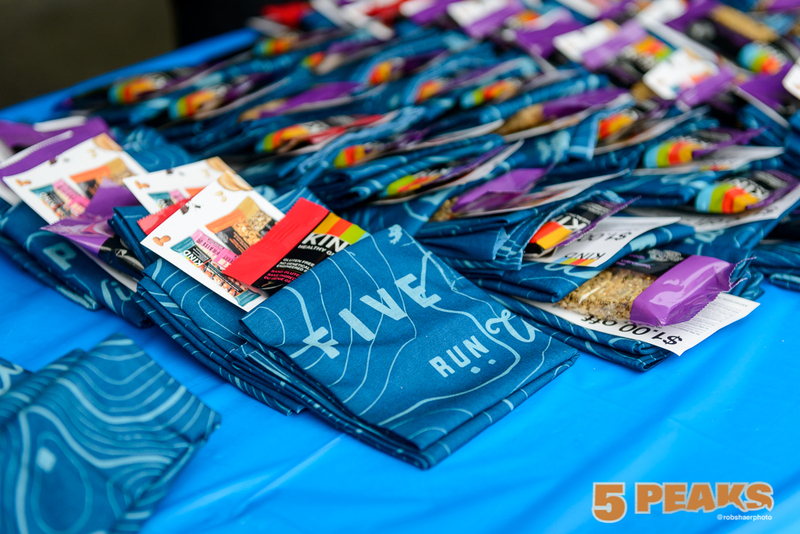 You can volunteer at the next race by emailing bcvolunteers@5peaks.com. The swag for 5 Peaks Golden Ears is a tubular! I wore it right as soon as I got it. It looks so nice, don’t you think? I really love the colour and design. 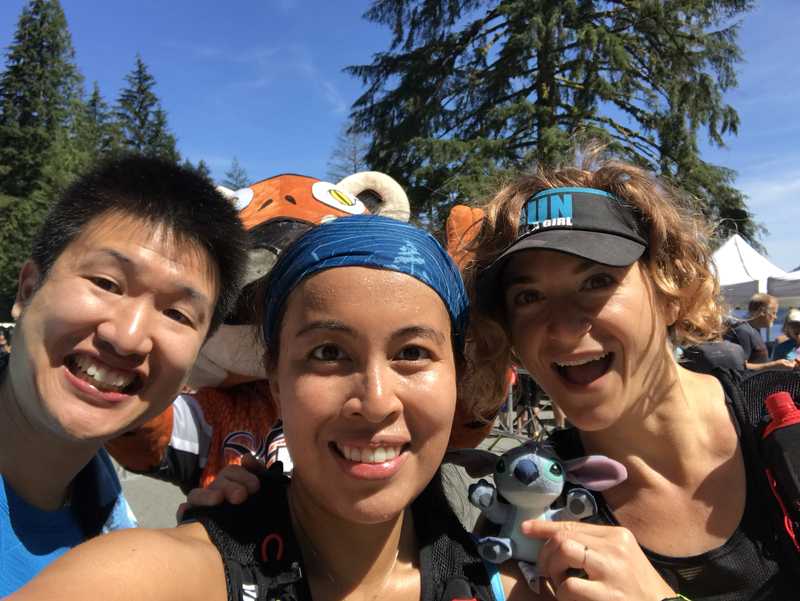 Cuski and I both ran 5 Peaks Golden Ears. He needed to run 19 km for his Squamish 50 training so the plan was for him to run the Enduro and tack on another 6 km afterwards. We both went our separate ways to get things done but the best thing about trail races is seeing friends along the way. Karen was volunteering as a course marshal and snapped this photo of me as I passed by. Incline Trail – it’s steeper than it looks. I knew there would be many water crossings so I came prepared with muddy shoes from the last trail run I did. I figured the streams would wash away the grime on its own 😛 It worked. After getting my feet wet and also working our way to the other side of the park, the Enduro runners winded their way up a gradual inclined road. Call it a precursor to the Incline Trail. The Incline Trail is a 1.2 km long steep climb. It took me 20 minutes to climb it. Everyone around me pretty much slowed to a crawl at this section and felt like it went on forever. It took a while to see the top. All I could see was the people ahead of me, still climbing! Kudos to the elites who managed to run this nasty hill. It was definitely one of the most challenging hills I’ve experienced on a course. If you’re still not convinced, how about a discount code? Use TRAILCREW2018 and get 10% off your entry. Register for Mt. Seymour here. 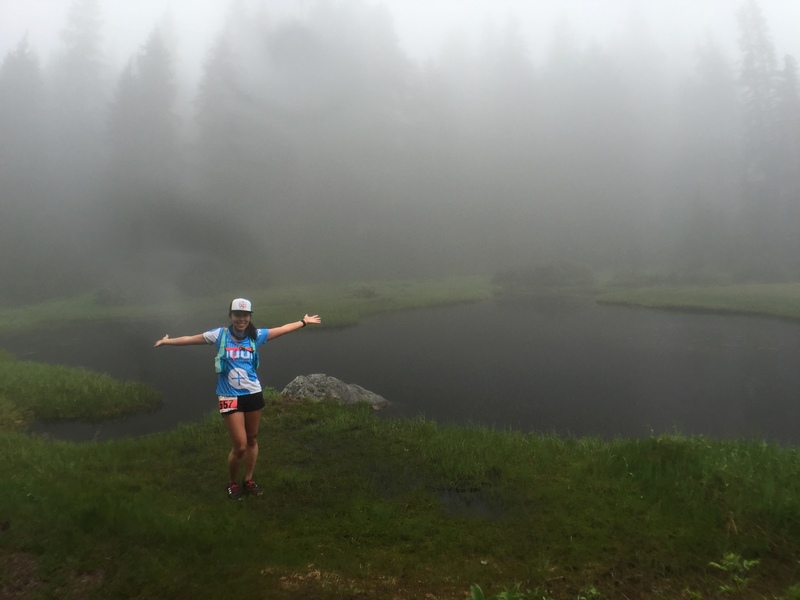 The Seymour Sport course was the race that hooked me into trail running. Maybe it’ll do the same for you. Organization – No problems whatsoever. Clear communication and as a volunteer, it’s great to see everyone come together to help make this event happen. Course – Prepare to climb if you’re on the Enduro course. I also love running through the lush green forests of the park. It’s such a beautiful area to explore. Swag – I love tubulars so therefore, I love the swag for this race. They also gave away some Kind bars. 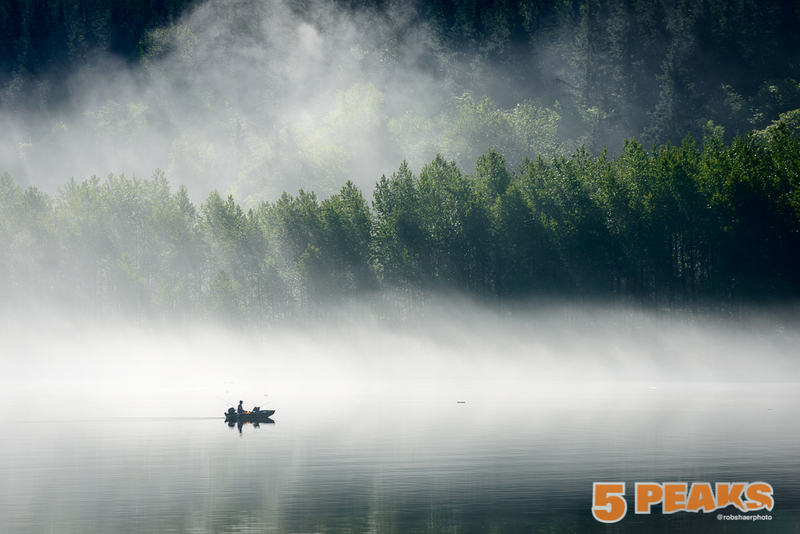 Have you ever been to Golden Ears Park? Tell me what your favourite trails are in the comments below. 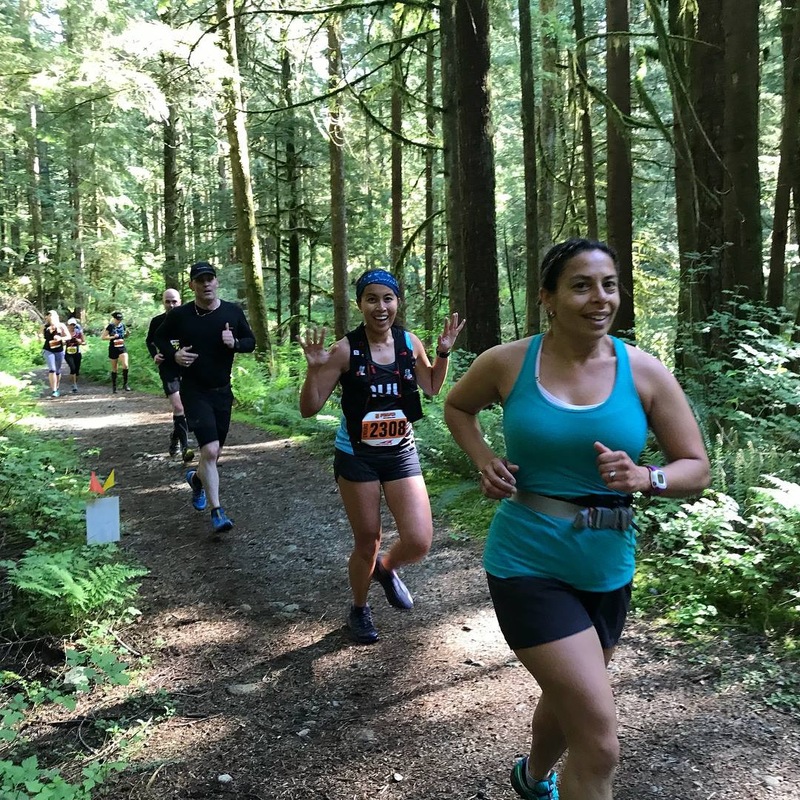 If you ran the 5 Peaks Golden Ears race, leave a review on BibRave!